Product prices and availability are accurate as of 2017-10-03 18:56:31 EDT and are subject to change. Any price and availability information displayed on http://www.amazon.com/ at the time of purchase will apply to the purchase of this product. 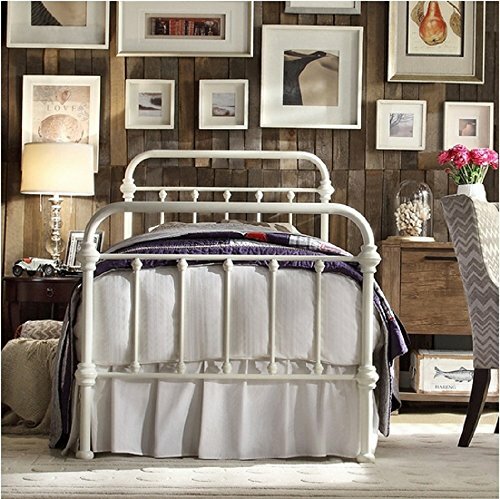 This Tribecca Home Giselle antique white bed boasts a Victorian style that easily complements traditional as well as more contemporary decor themes. 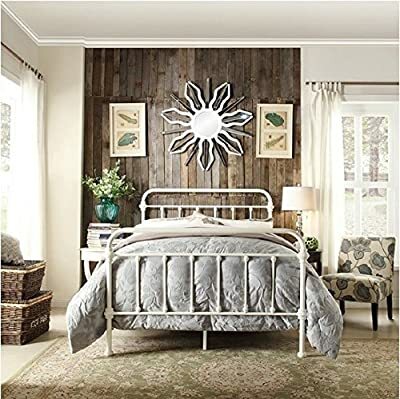 The white finish works well with any interior color design, and the iron tube and panel construction add durability for long lasting style and function. Use this bed with a box springs.